Sale berth at the PORT of CAP d'Ail - 8.50 x 3.00 m - € 19.900 C failure Category II Dimensions: 8.50 x 3.00 m Bau Maxi: 3.00 m Leasing: 31/12/2027 Annual costs: €2 241 Specifications: For sale, Port of category II for sale in Cap d'Ail Port - this Port square is ideally located close to parking and sanitation, and protection in case of rain and wind. This Port is secure throughout the year. Marina under video surveillance. 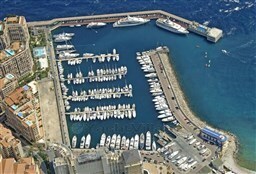 Services at the Port of Cap d'Ail: -Electricity at dock and on wharves (220 - 380v) -Two toilet blocks - shipyard nearby -Fuel on home dock -Surveillance 24/24 all year-round -Restaurants and bars in the Harbour Do not hesitate to contact me for other occasions JEANNEAU, BENETEAU, BAVARIA, FAIRLINE, RODMAN, PARDO, CANELLI, VANDUTCH, SESSA, WELLCRAFT, BOSTON, SEA RAY, MAXUM, FOUR WINNS, FJORD, WINDY, CHRIS CRAFT, FIART, RIVA, AIRON MARINE, SEALINE, SUNSEEKER. PRINCESS, KELT, WHITE SHARK, QUICKSILVER, COLOMBO, BLACKFIN, NUOVA JOLLY, BOMBARD, VALIANT, KIRIE, DUFOUR... This boat you are interested, contact me: Darcy Jahier: + 33 (0) 6 29 41 35 30 darcy.yachting@gmail.com this announcement is written in good faith, on the directions of its owner at the time of sale. Darcy Yachting cannot be held responsible for any changes, also if the photos are not contractual. It is up to the buyer to determine the condition of the vessel, its inventory and the existence of all vices. Sale PLACE of PORT AU PORT of MANDELIEU LA NAPOULE 6.50 x 2.50 m Pier C South Category I Bis Pier C Dimensions: 6.50 x 2.50 m Bau Maxi: 2.40 m Leasing: 31/12/2029 Annual charges: € 993 per year Specifications: Place Port of category I for sale in the heart of Mandelieu La Napoule in the Alpes Maritimes - this berth is ideally located in the South C pontoon dock. 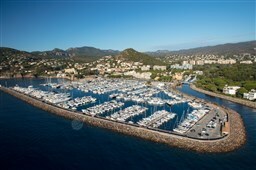 Friendly and family port equipped with parking, toilets and many shops. The Port of La Napoule is one of the most dynamic ports of the Riviera, he holds his blue flag of marinas and will be shortly certified Port clean. This Port is secure throughout the year. Marina under video surveillance. Darcy Yachting will accompany you in all administrative procedures for the purchase of your berth. This boat you are interested, contact me: Darcy Jahier: + 33 (0) 6 29 41 35 30 Darcy.Yachting@gmail.com This announcement is written in good faith, on the directions of its owner at the time of sale. Darcy Yachting cannot be held responsible for any changes, also if the photos are not contractual. It is up to the buyer to determine the condition of the vessel, its inventory and the existence of all vices. Documentation, custom studies and financing on request.